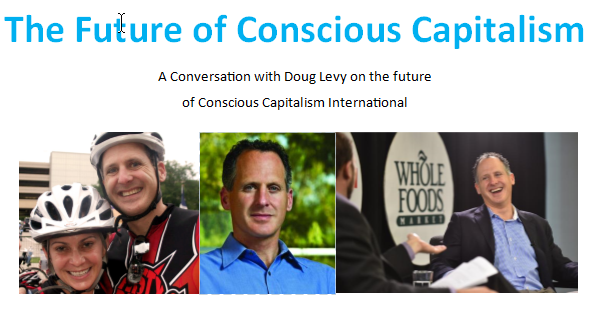 Doug Levy is the Chairman of the Board of Conscious Capitalism International & Founder/ CEO of TapGoods and Technology Spa. We are lucky that Doug has been engaged in the Dallas Chapter since the beginning. He is a dynamic leader for us and those within CC Intl. While you do not have to RSVP, we would appreciate your help in testing our new RSVP process. Please take a moment and click the REGISTER tab up to the left. Give us a little data and then we will see you at the meeting. experience - just a little better. If you have any questions, then please email us at consciouscapitalismdallaschapter@gmail.com and we will get back with you as soon as possible.